We work around the clock to make ourselves available to our clients whenever they may need it, day or night, rain or shine. When you call us, we guarantee somebody will be on the line and available to dispatch a driver to your location at a moment’s notice. Campbell’s is a comprehensive automotive service provider serving the greater Muskegon area for over 60 years. 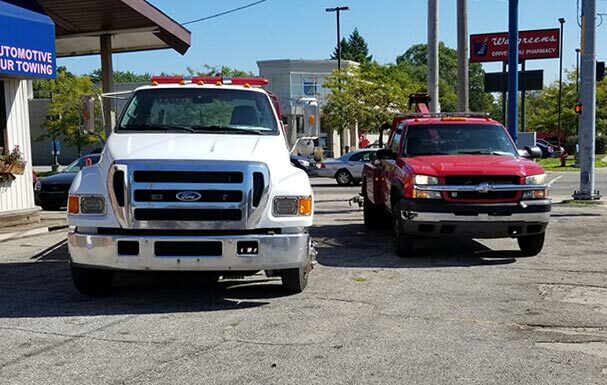 We provide light and medium-duty towing services alongside a wide variety of automotive repair services. Our goal is to provide our valued clients with the honest care they deserve in a timely manner and at the industry’s most competitive prices. At Campbell’s Automotive and 24-Hour Towing, the satisfaction of our customers always comes first. We are committed to maintaining a sound, highly ethical business practice to treat our clients and employees alike with the utmost care and respect. Call Campbell’s today for the quality service you deserve. 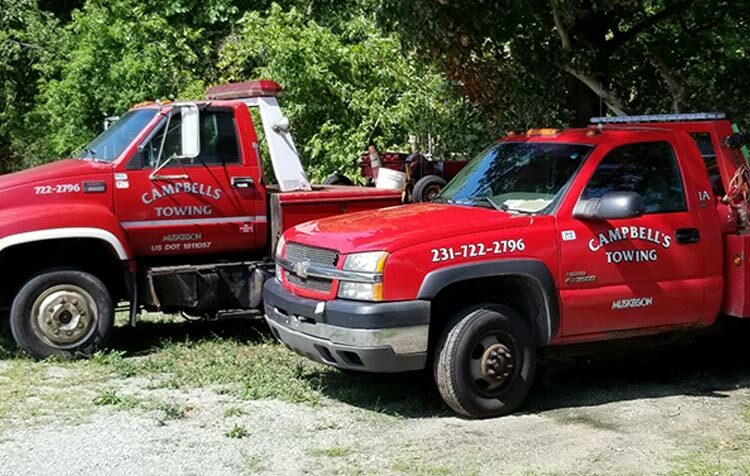 We founded Campbell’s Automotive and 24-Hour Towing in 1952 with one simple but all-encompassing goal: to provide our customers with quality automotive service that makes them feel right at home throughout each step of the process. It’s a testament to our commitment to this goal that over half a century later, we remain at the forefront of our region’s industry, providing cutting-edge aid without sacrificing our emphasis on premier customer service. Our team places a premium on delivering efficient, damage-free service that leaves you with the utmost comfort and peace of mind, all at the industry’s most competitive rates. Nobody should have to pay an arm and a leg to simply get their life back on track after an accident or breakdown. As an honest, family-owned company, we will always be fully transparent in our pricing, guaranteeing an easy, friendly service process. 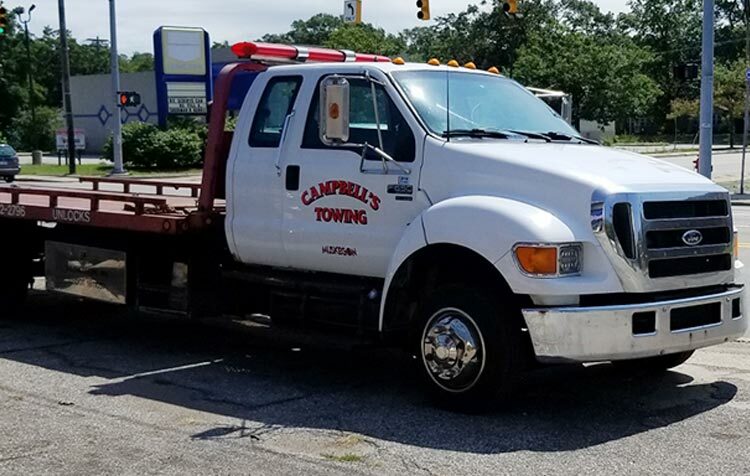 Call Campbell’s Automotive and 24-Hour Towing today to see what we can do for you! Got a haul from Muskegon to GR and a lift for our group of 6. It was a tight squeeze but excellent speedy service on a Sunday afternoon. Most appreciated. About 3 weeks ago, I got a flat on a Sunday afternoon. Their service was expedited quickly, their work was impeccable, and I felt safe throughout the process. I would highly recommend this service to anyone in the area in need of roadside service. This is a wonderful company. The driver was very friendly and towed my truck correctly. I will be calling this company again for any future tows. Oh, and they don't charge you an arm and a leg. Very reasonable pricing. Call (231) 722-2796 To Contact Us Today!